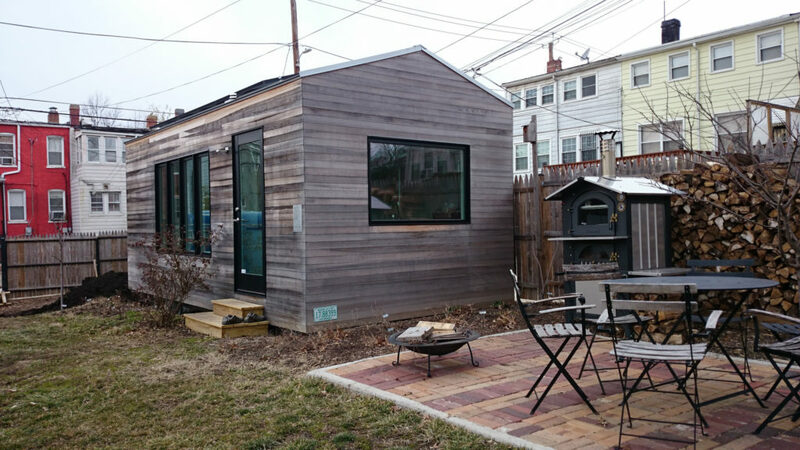 Accessory Dwelling Units have gotten a lot of publicity in recent years, due in large part to the Tiny Houses movement. Often valued for their trendiness and novelty, ADUs are becoming an important alternative to standard housing. And while Tiny Houses are one form of ADUs, they are not the only or even the most important one. Common models for ADUs include turning a basement or garage into a fully furnished apartment or building a cottage in a spacious backyard. ADUs allow renters to find more affordable housing options and allow homeowners to generate additional revenue by charging rent. Another important reason that more attention is being paid to ADUs is that our economic situation in the United States presents us with some challenges. Here’s a quick snapshot of where we are as a nation: affordable housing is increasingly hard to find in some locations; the Boomers are retiring without adequate savings; public funding is being stretched as the workforce producing tax revenue shrinks, and all the while a new generation of school children are in need of education funding. It’s worth exploring this impending crisis in more detail. An article in Curbed.com explains that this lack of affordable housing is leading to less geographic mobility, less creation of new businesses, an increasing concentration of wealth and opportunities in a select few regions of the country, and an increasing burden on young adults attempting to begin their adult life. In other words, the affordable housing crisis functions as a vicious cycle of cause and symptom in a broader economic emergency. The Boomers are retiring, but they are worse off financially than the previous generation, a phenomenon that upends recent history and recalls the days of the Truman presidency. The Wall Street Journal reports that “more than 40% of households headed by people aged 55 through 70 lack sufficient resources to maintain their living standard in retirement.” That 40% designates approximately 15 million American households. At the same time, there is a dearth of working-age adults to support the entitlement programs (Social Security and the like) to support the retiring Boomers. As if this wasn’t bad enough, sobering analysis from the Foundation for Excellence in Education details how this surge in retirement is dovetailing with an uptick in the K-12 population, portending fierce funding battles between retirees and school districts at the local, state, and federal levels. The boomers are retiring, many of them don’t have the financial resources to support themselves in their retirement, and there simply won’t be enough public funding to address the shortfalls. Given both the demographic changes and the economic challenges, the market demand for ADUs will likely continue to increase. This article explores the benefits of ADUs and the obstacles preventing their development and argues for why we should promote ADUs as a viable housing option. Modern approaches to zoning can also reduce economic and racial segregation. provide aging adults with living space that is nearby but that still maintains the standard of independence they have grown accustomed to. increase equity in their property and generate additional income by renting to non-related individuals and families. Choose environmentally friendly housing options with a smaller average space per person and a lighter ecological impact. Have the opportunity to interact with neighbors that they might not otherwise have regular contact with, for example, if the homeowner is a family, an older couple, etc.. The future of ADUs in America looks promising. ADUs can aid multigenerational families, provide affordable rates to renters, and let homeowners leverage their biggest asset for revenue. By working together on the local and state level, we can build more flexible housing markets, more diverse communities, and a more resilient American economy. One reason youth might be less committed to democracy is that they are not participating in democracy as much as they used to. Jon Grinspan, writing for The Atlantic, has a startling thesis regarding why youth are less politically engaged than before. Our youth are increasingly disengaged in the political processes and institutions that help shape civic society, he says, precisely because we have separated them as a demographic from older generations. In an article entitled “How ‘Millennials’ Ruined Democracy” (millennials designating the term and all it stands for, not the actual people), Grinspan recalls how historically, political engagement in the 19th century was so high because youth were not siphoned off from older siblings, parents, and other local adults in their formation. And once that generation, which organized itself politically, grows up, it is immediately out-of-touch and not in connection with the next generation which attempts to mobilize, and on and on this process goes. In Grinspan article for The Atlantic, he notes how the home used to be an incubator for democratic values. I think he’s right — civic engagement begins at home with parental engagement. In 2014, I wrote a series of blog posts on parental engagement in civic engagement. My first post shares research on why voting is important (and effective), particularly in local elections and in the second post, I share memories about going to vote with my parents, which were formative experiences for me. The third post examines the 2008 election of President Obama and, in keeping with Grinspan’s thesis, shares 2010 findings from Pew Research on how “the political enthusiasms of Millennials have since cooled – Obama and his message of change, for the Democratic Party and, quite possibly, for politics itself. Finally, in my fourth post, I discuss Tocqueville’s vision for civic life. I staunchly believe as Tocqueville stated that “municipal institutions constitute the strength of free nations. Town meetings are to liberty what primary schools are to science; they bring it within the people’s reach, they teach men how to use and how to enjoy it. 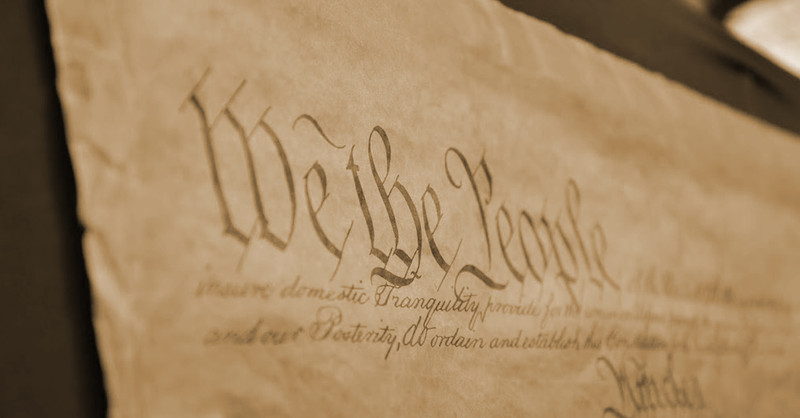 A nation may establish a free government, but without municipal institutions it cannot have the spirit of liberty.” – (Chapter V) Here are three quick tips for parents in nurturing the kind of civic engagement that can teach the next generation to cherish democracy and work within democracy for the common good. 1. True and lasting change begins slowly, often imperceptibly, and on a very small level. If you focus on being a supportive spouse, an engaged parent, a dependable worker, and an upstanding member of the community, you’ll be sending ripples through the pond and will be helping make America a better place. 2. Seize opportunities to be active and engaged: vote in local, not just presidential, elections; participate in community food and clothing drives; find out how you can get involved mentoring youth through programs like Big Brother Big Sister. 3. Encourage your children to be active in their community. Help them learn to be good leaders and provide opportunities for them to be involved in community service. Consider things like volunteer work, community theater, church or school outreach projects, etc. Ronald Reagan once said that freedom is only a generation away from extinction. He understood that sustaining democracy is a continual work and that our civic society is both precious and fragile. Saving democracy isn’t the sole task of one man or one woman but it is a task that we all share. Healing the wounds of our civil society begins on the local level in the communities in which we live and work. Most importantly, learning how to sustain our civic project begins with the family and in the home. Families are the building block of civil society. Businesses are also an integral foundation of civil society. Paid family leave policy is important because it impacts families and businesses. Our society is ready for a practical blueprints that give families access to better leave policies while also enabling businesses to do the good they are often afraid to do. At Demme Learning, We offer 8 weeks of fully paid parental leave. We have found through company surveys that this policy helps boost morale and we have also seen how this policy helps to retain our employees. Paid leave policies cost money which can make it prohibitive to business implementation, especially for smaller businesses. Often businesses are afraid that they can’t afford to implement such policies even though they might want to. In light of this, how might the government help the private sector do the good they want to do? Senator Marco Rubio recently rolled out a Federal parental leave plan that shifts future Social Security Benefits to pay for parental leave. Under Rubio’s bill, which he introduced this week, a new parent that elects to participate would receive an amount equal to three months of what they’d get in Social Security benefits. 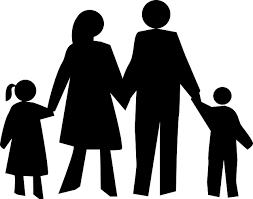 Households that receive the benefit can use it however they want as long as they take at least two months of leave, and spouses in two-parent households would be able to transfer the benefits to each other, according to Rubio’s office. Rubio’s office said that most parents making below the median family income of about $70,000 would be able to have the benefit cover more than 70 percent of their wages for two months, and that many parents on the lower end of the income spectrum would be able to use the benefit amount to help finance longer-term parental leave. I like what Senator Rubio is trying to accomplish but ideally, the most effective initiatives will be found at the state level and with individual businesses. For example, Pennsylvania could adopt an incentive plan that gives tax credits to employers that provide paid leave policies. A similar concept was included in the 2017 Tax Cuts and Jobs Act, for a federal tax credit for employers who provide paid family and medical leave. Under new Section 45S of the Internal Revenue Code, employers that voluntarily offer qualifying employees up to 12 weeks of paid family and medical leave annually under a written policy may claim a tax credit for a portion of the wages paid during that leave. To receive the credit, employers will have to provide at least two weeks of leave and compensate their workers a minimum of 50 percent of their regular earnings. The tax credit will range from 12.5 percent to 25 percent of the cost of each hour of paid leave, depending on how much of a worker’s regular earnings the benefit replaces. The government will cover 12.5 percent of the benefit’s costs if workers receive half of their regular earnings, rising incrementally up to 25 percent if workers receive their entire regular earnings. It will be interesting to see how this issue continues to evolve as we move through the midterms and into the 116th Congress. When you think of a vibrant city, what kinds of people do you envision? The artsy hipster barista? The forty-something entrepreneur dressed in jeans? The fashionable women in high heels enjoying rosé in an outdoor canopy cafe? Now try to picture another demographic living in the city: a family. A city made or remade to accommodate young adults doesn’t require good schools. It doesn’t need to provide a diversity of housing options beyond the studio and one-bedroom apartments. Affordable eating options aren’t really on the radar and neither are playgrounds. In short, a city not built to accommodate families won’t be able to accommodate families. Even worse for families is the process of gentrification. Indeed, gentrification is inherently anti-family. When a city undergoes this process of becoming the kind of place that attracts young, childless urbanites, it raises rent prices, often resulting in driving out poorer families that can no longer afford to reside in the city or at least forcing them to allocate more of their income to basic housing. As we seek to revitalize and develop our cities, we must remember our obligations to the family. Being consistently pro-life means promoting the flourishing of all people of all demographics. On June 3, 2017, the Trust will host the Pedal to Preserve, a bike ride to raise money in support of the Trust’s conservation work. The event included three marked routes allowing participants to choose between 6, 20, and 51 mile rides through Lancaster County’s pastoral countryside. Land conservation offers many benefits to the community, including attracting jobs, enhancing property values, safeguarding a valuable way of life for future generations, ensuring an adequate, fresh food supply, and protecting the quality of the environment. 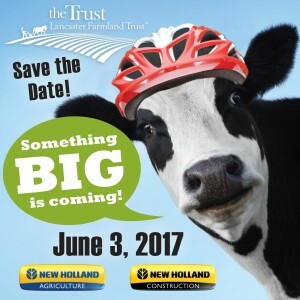 To learn more about preserving Lancaster County’s farmland, and to sign up for this years, Pedal to Preserve, visit the Trust’s website here.